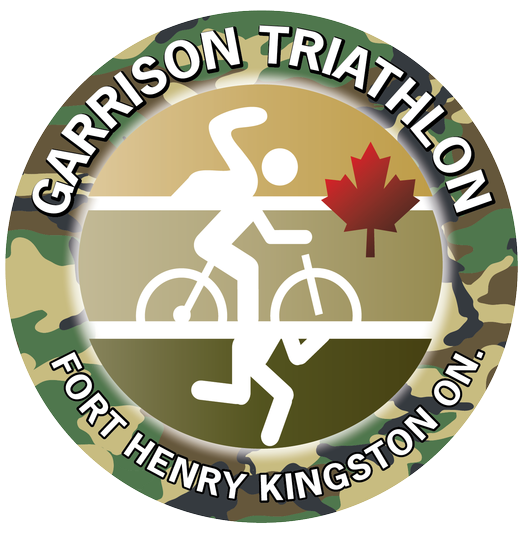 Yesterday I had the pleasure of racing the inaugural Garrison triathlon in Kingston - which also happened to be my inaugural Olympic distance tri! 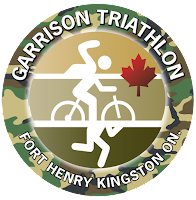 The Garrison tri was put on by Fort Henry National Historical Site and CFB Kingston, so a large proportion of the run course was through the Royal Military College and finished right inside Fort Henry (pictures are coming soon!). I was very impressed by how well this event was run - the course was incredibly well-marked and the organizers and volunteers were very helpful. Special thanks to Rick's Bike Repair, a sponsor of the race, who did free pre-race bike safety checks and taught me a thing or two about bike mechanics the day before the race! Also, whoever was in charge of the day's weather deserves a special thanks as well! On a day that had been shaping up to be absolutely miserable conditions (40kph winds, torrential downpour, 12-15 degrees C), it turned out to be close to ideal racing conditions. The wind and rain died down a bit throughout the morning, and without those nasty conditions 15 degrees wasn't half bad. This was especially lucky for me, because I'd only brought my disc wheel, which I wouldn't have been able to ride had the wind actually gone up to 40kph. Because of the initial windy conditions, the race crew decided to shorten the swim from 1500m to 750m - which definitely played to my advantage. We had an in-water start off the dock at RMC. I was able to get on Billy's feet within the first 100m or so (ideal, since most of my drafting practice is with him) and hung on for the whole swim. He had a great swim, and my arms were burning by the end but I came out of the water in 4th with very fresh legs. Since it was still cold, I took the extra time in T1 to throw on a shirt and bike shorts, which was very worth it! The bike course was a there-and-back route along highway 2, an open stretch of highway with lots of rolling hills - but pretty much the only road I ever ride on in Kingston so I was familiar with where the hills were. The way out was into a strong headwind, so it was quite a struggle but I kept my effort manageable and my cadence up and was only passed once. Turning around at 20k brought the huge relief of a strong tailwind for the 20k back. Never has that stretch of road seemed so short! I finished back at RMC in 7th place feeling pretty good but still dreading the 10k run. This was a very tough run course, and I was lucky that I've run through most of it numerous times during cross-country season (2.5k of it was on our very own cross-country course). Rolling hills, even moreso than on the bike course, kept the speed in check throughout. I made a conscious effort to start off pretty slow so I didn't burn out partway through, but I couldn't seem to pick up the pace as I went. Luckily everyone around me must have been feeling the same way, and I maintained my position. All-in-all, my pace was much slower than I was hoping for, but getting through my first Olympic distance run gave me a mental boost more than anything else for races to come. I finished in 7th overall, and 1st overall female. Overall I was happy with the swim and the bike, and hopefully the run will continue slowly coming back as the season progresses. It was a fun first Olympic distance race (although to be fair I have yet to do a 1500m swim so that will be the next challenge!) 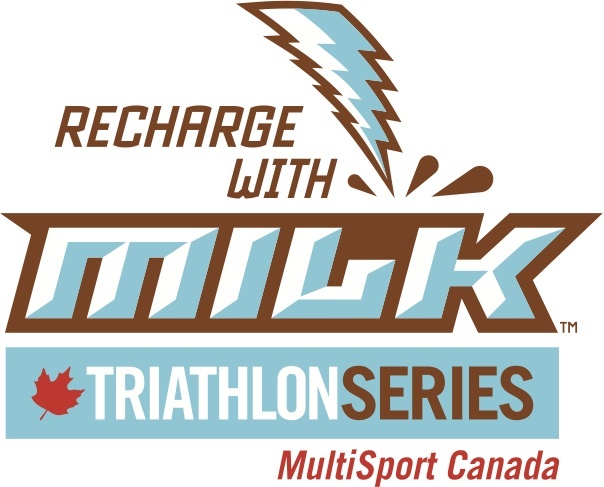 which will prepare me well for my next one, Multisport Canada's Gravenhurst Olympic tri, on July 18th. Hope to see you there!